As part of their study of People and Economic Activity, Year 12 Geography students undertook a Local Enterprise case study of a dairy farm at Number 9 Dairy, Camden Park. The students were engaged in primary research on the day including soil testing and vegetation identification, as well as observing a fully operational commercial dairy, including examples of ecologically sustainable management. At Number 9 Dairy the boys were able to observe the birth of a calf in a natural setting and had the opportunity to engage in the actual milking process. 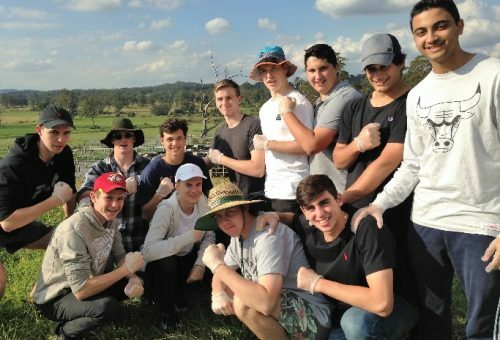 The field trip continued at Sydney University’s research facility which also operates as a fully commercial dairy, where the boys observed the operation of the newest milking technology.